I work with individuals, couples, and groups. My main therapeutic influence is Gestalt Psychotherapy. It is a dynamic, holistic, and experiential therapy that can help people work through their problems, most frequently related to "the big 4": depression, anxiety, career, and relationships. You can learn to appreciate and integrate all aspects of yourself. By focusing on here-and-now interactions and becoming aware of how past experiences interfere with your current functioning, you can reach your potential for creativity, growth, and change. Sometimes people are eager to start. Sometimes people are scared and need time. Sometimes people are skeptical that therapy can help at all. You need someone sensitive to your particular issues and your state of readiness to work on them. Please contact me to get a sense of who I am as a therapist and person. That way you can find out if the chemistry between us is right. I seek to create a safe space where you don't just talk but where the work actually helps you make changes in your life. You don't need to be told what to do. What you need is a competent guide to help you experience fuller awareness of how you are currently living in the world. The goal is for you to make adult choices that are new and productive for you. I have been in private practice since 1996. I schedule appointments for early mornings and evenings on Monday-Thursday. I am also available on Saturday. I negotiate my fee with each client based on the client's gross annual income. If you would like a trial session, we can schedule an appointment together. I will ask you to pay for that appointment only if you schedule a second appointment. For established clients, sessions are also available by phone or Skype. Training in the resolution and healing of trauma (Somatic Experience, developed by Peter Levine, Ph.D.), with Diane Heller, Ph.D.
Training in Group Therapy and Life Purpose Coaching with Jay Earley, Ph.D.
Training in Couples Therapy with Sue Friedberg, L.C.S.W. 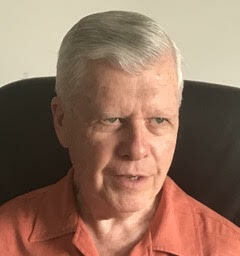 David Longmire is a New York State licensed mental health counselor and psychoanalyst specializing in therapy for the LGBTQ community, couple’s counseling, therapy for artists and creatives, life purpose coaching, and therapy for trauma healing and resolution.